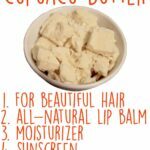 12 Beauty Benefits of Cocoa Powder - beautymunsta - free natural beauty hacks and more! Ahh chocolate…who doesn’t love it? And do you know what it’s made of? Cocoa powder! 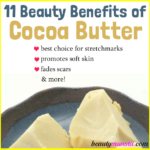 In this article, we shall see 12 delicious beauty benefits of cocoa powder for skin and more! Cocoa powder is an unsweetened dark brown colored powder that is extracted from cocoa beans. Cocoa beans grow in pods in the cacao tree. To get cocoa powder, the cocoa beans are fermented, dried, roasted and cracked. This forms cocoa nibs which are then ground up which gives up two substances: cocoa butter and a brown paste called chocolate liquor. After pressing out the fat, the chocolate liquor is dried again and the mass is ground to powder. This gives us unsweetened cocoa powder! There are two types of cocoa powder: natural cocoa and Dutch-processed cocoa. Dutch-processed simply means that the cocoa powder is treated with an alkali to reduce its acidity and remove sour flavors. You can use any type of cocoa powder for beauty benefits, just make sure you don’t use one containing sugar and artificial flavor, etc! 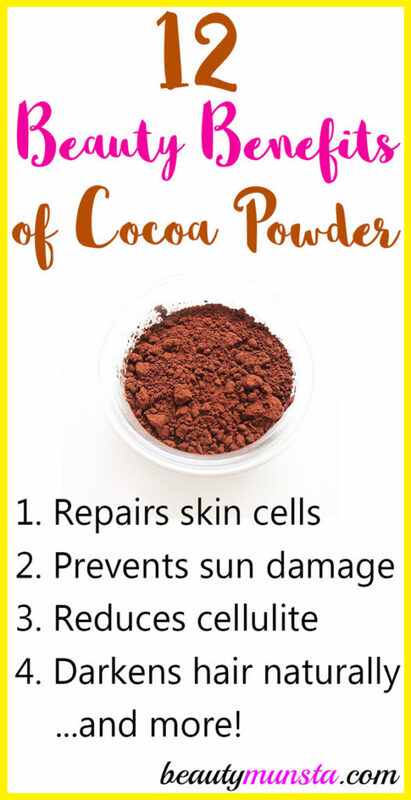 Yes, cocoa powder helps repair skin cells! That’s because it is packed with antioxidants that fight off free radicals. Free radicals are unstable molecules that steal oxygen from skin cells to balance themselves. In the process, they make skin cells lose oxygen and become lifeless. This causes a variety of skin problems like blemishes, dull looking skin and more. So make a cocoa powder face mask to repair your skin cells and rejuvenate your face! Cocoa Face Mask: In a bowl, add 1 tbsp organic cocoa powder, 1 tsp honey, 1 tbsp ground oatmeal powder and 2 tbsp Greek yogurt. Mix them all up with a spoon to form a smooth paste. Apply onto your clean face and neck then let it rest for 15 minutes. Remove in the shower or gently with warm water then splash your skin with cold water. Cocoa powder has a gentle exfoliating texture that helps slough off dead cells on skin. It is good for carefully exfoliating sensitive or acne prone skin without irritating it. You can combine cocoa powder with a little milk, which also has exfoliating properties due to its lactic acid content, and lightly apply it on your face as a scrub. You know when they say ‘eat your sunscreen.’ Well add cocoa powder to your list of sunscreen foods because it helps prevent sun damage! A study published in the Journal of Nutrition in 2006 showed that a group of women given a flavanol rich cocoa drink showed 15% less reddening of the skin when exposed to UV light. This is due to its high antioxidant content which fights off free radicals generated when UV light hits the skin. 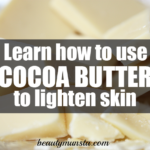 Cocoa can improve your skin complexion, making it brighter and clearer! The flavonoids in it nourish the skin, boost its elasticity and help reduce blemishes that make skin dull. The caffeine and theobromine found in cocoa powder make skin firm, taut and toned. That’s because they help break down fats and eliminate excess fluid retention. So if you have sagging skin, puffy skin and even under eye bags, try making a mask out of cocoa powder and applying it to your face for a few minutes. Cocoa powder isn’t just good for skin, it’s great for hair too! It contains a significant amount of sulfur, which is one of the most important minerals for hair health. Consuming cocoa powder makes your hair shiny and soft naturally. This delicious powder doesn’t just stop at making hair soft and shiny! It also gradually darkens hair and helps cover up grays. So if you’re a brunette, try making a cocoa hair mask or even mixing cocoa powder in warm water and using it as a hair rinse. Cocoa powder is rich in antioxidants called flavonols. The powerful antioxidant properties of flavonols help fight free radicals, hence making skin youthful for longer. Consume cocoa powder and also use it externally to plump your skin cells and fight premature wrinkles! Enjoy the cellulite clearing powers of cocoa powder! Because of its caffeine and theobromine content, cocoa powder helps drain fatty cells, promote flow of excess fluids out of the body which helps clear off cellulite by firming and tightening the skin. Drink cocoa powder and also make a cocoa coffee scrub to help you with this! Cocoa Coffee Cellulite Scrub: In a large bowl, add ¼ cup cocoa powder, ½ cup ground coffee and ¼ cup liquid coconut oil. Now add 1 tsp cinnamon powder. Mix everything well to form a soft scrub. Transfer the scrub into an air tight container. To use, place 1 tbsp in a bowl and take the bowl to the shower with you. Scoop up a little and rub in circular motions over wet skin that has cellulite. Leave it on for a couple of minutes then rinse off and wash your body as usual. Use every other day in the shower. 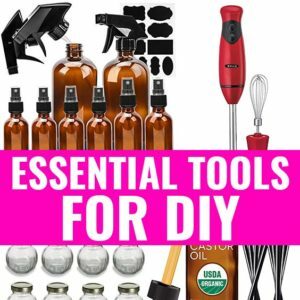 Amazing DIY Dry Shampoo: In a bowl, mix up 1 tbsp arrow root powder, 1 tbsp baking soda, ½ tbsp cocoa powder and 3-5 drops lavender essential oil. Dip a brush into the bowl and dab it on your hair roots starting from one side going to the other. Let it sit for a couple of minutes then brush your hair and voila! Your hair will be soft, fluffy and look and feel clean! Ensure to get unsweetened cocoa powder for your beauty purposes. 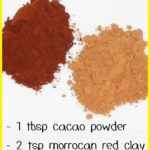 You can purchase raw chocolate powder or cacao powder as well. 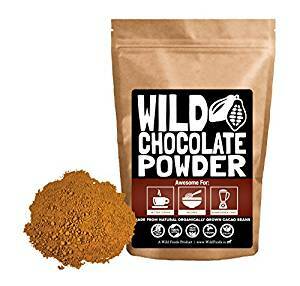 If you want to get the full nutritious benefits of cocoa powder, including its powerful antioxidant boost, then buy Wild Foods Organic Cocoa Powder. Do you know of any other beauty benefits of cocoa powder? Please share below! 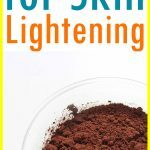 Cocoa Powder for Skin Lightening – Does it Work?